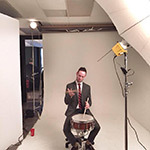 Dr. Graeme Francis is currently Adjunct Professor of Percussion at The College of St. Rose in Albany, NY, where he teaches percussion and drum set lessons and is the director of the Percussion Ensemble. Previously, Dr. Francis served as Percussion Lecturer at the University of Texas at San Antonio from 2006 to 2016, where he also taught Rock and Roll History, Jazz History, and was the founding member, drummer, and director of the UTSA Faculty Jazz Combo. He was nominated for UTSA's 2016 President's Distinguished Achievement Award for Teaching. A versatile performer, Mr. Francis's jazz work includes performances with such jazz luminaries as vibraphonist Ed Smith, trombonist Bill Watrous, bassist Chris Thomas, trumpeter Pete Rodriguez, and pianist Doc Watkins. The Doc Watkins Trio’s new release, Swingin' From San Antonio, is now available from iTunes, Google Play, and other online retailers. Graeme returns to TX regularly as a featured member of the Doc Watkins Orchestra at San Antonio’s newest and finest club, Jazz TX. His orchestral career encompasses the San Antonio Symphony, San Antonio Opera, Chamber Orchestra of San Antonio, Victoria Bach Festival Orchestra, Austin Symphony Orchestra, Ballet Austin, Mid-Texas Symphony, Corpus Christi Symphony, Prince Edward Island Symphony, and Rome Festival Orchestra, in addition to a multitude of chamber ensembles such as the American Repertory Ensemble, Revel, and SOLI Chamber Ensemble. Dr. Francis has performed both in Canada and the United States as one half of the Schumann-Francis piano/percussion duo, whose live performances from the Victoria Bach Festival have been broadcast nationally on American Public Media’s Performance Today. The Austin Critic's Table named the Schumann-Francis Duo one of the Top Ten Classical Musical Treasures of 2011. 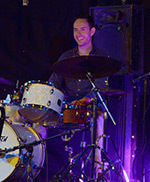 As a highly sought after session musician, Mr. Francis has recorded over a dozen records for Austin recording studios including Star Seven Media, Congress House Studio, Church House Studio, Infinity Studios, 12th Street Sound, and Blue Rock Studios, in addition to major recordings on the Gasparo and Naxos labels. Dr. Francis has been a member of the Austin Chamber Music Center (ACMC) faculty since 2006, coaching chamber groups and percussion classes at ACMC's annual summer Chamber Music Workshop as well as performing during their concert season and summer Chamber Music Festival. He has also worked as the Music Director and percussionist for The American Repertory Ensemble (ARE). Over a dozen of his solo performances with ARE and ACMC have been nominated for Outstanding Solo Instrumental and Chamber Music Performance by the Austin Critics' Table. A native of Prince Edward Island, Canada, Mr. Francis received his Doctor of Musical Arts degree at the University of Texas at Austin. His percussion teachers include Jill Ball, Thomas Burritt, Doug Howard, Kalman Cherry, Ed Smith, Tony Edwards, Brannen Temple, Daniel Glass, and Carl Allen. Dr. Francis endorses Vic Firth sticks and mallets, Zildjian Cymbals, Yamaha Percussion instruments, Remo Drumheads, and is a member of the Scholarly Research Committee of the Percussive Arts Society.